We actually cheered when we finally saw a building in the distance. We had been driving for hours across Italy from Rome and in the last half hour, we had seen very few signs and only one indicator of our goal: Tormaresca Winery, in the Castel del Monte DOC in the southeastern tip of Italy known as Puglia. The Tormaresca estate is almost as remote as Tasca D’Almerita’s Regaleali in central Sicily, which sees purposely hidden, and both are well worth the trip. We parked in what we later found out was the back of the winery, and searched on foot for five minutes to find the entrance. Tormaresca is owned by the centuries-old Cantinetta Antinori in Tuscany, Italy which has been in business since 1385. Antinori bought this property in 1998 to add to its stable of properties. In 2009, Antinori added Masseria Maìme in Salento to the Tormaresca family. 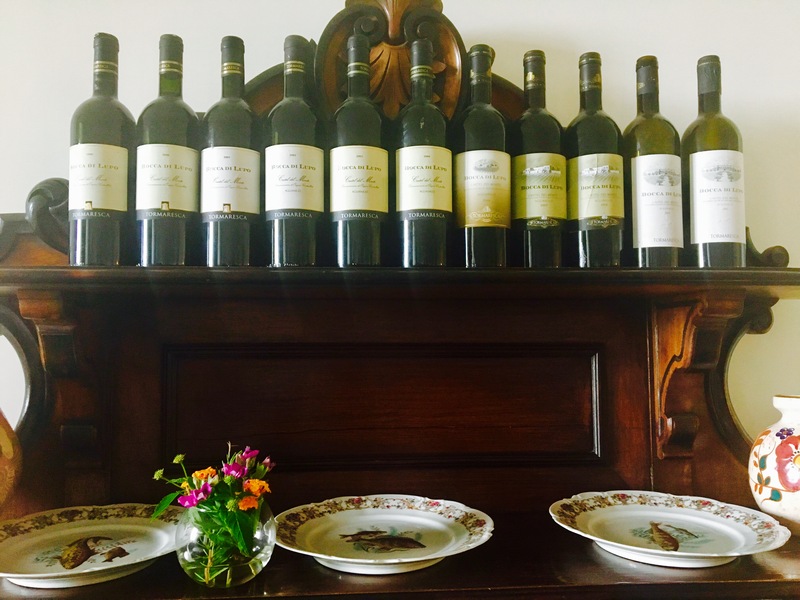 We decided to visit the original Bocca di Lupo estate in Minervino Murge for a tasting. There are certain wines from Tormaresca that are renowned throughout Italy. Among these is Tormaresca’s Masseria Maìme 2012, a pure Negroamaro awarded Tre Bicchiere by Gambero Rosso; Fichimori, a flavorful Negroamaro meant to be served cold; and Tormaresca’s Aglianico 2010 which garnered a 93+ from The Wine Advocate. 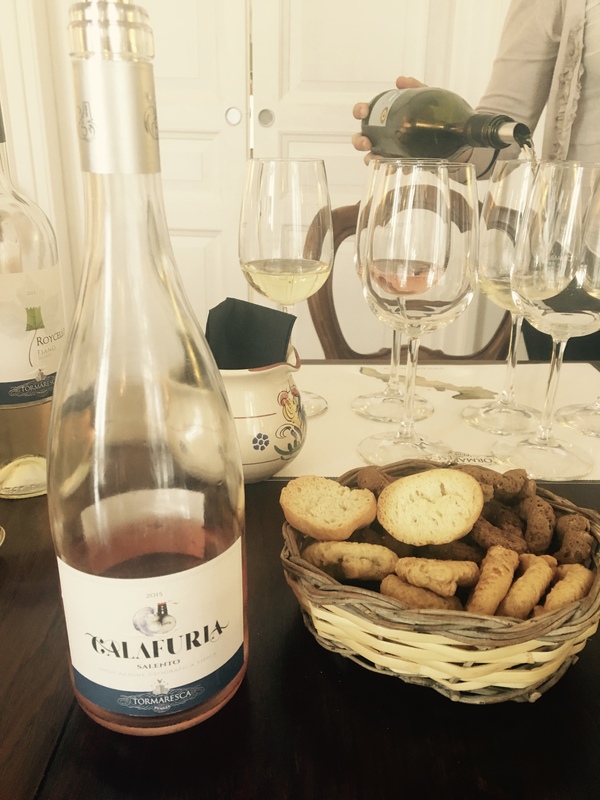 Our degustation had some real standouts: the 2015 Calafuria Rosé made from 100% Negroamaro has the slight salinity which is so prevalent in Salento Rosé, a gorgeous peach-pink color, and peachy aromatics. The Masseria Maìme was the star of the show with its rich, dark cherry and anise aromatics and smooth, elegant finish.